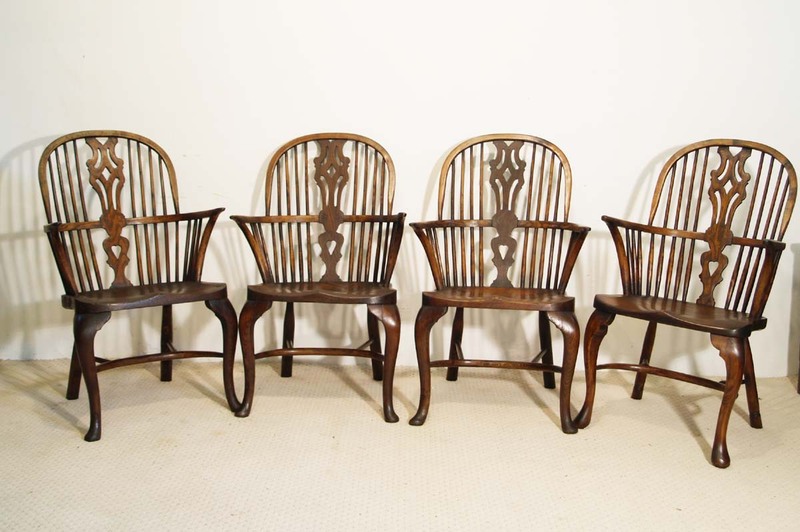 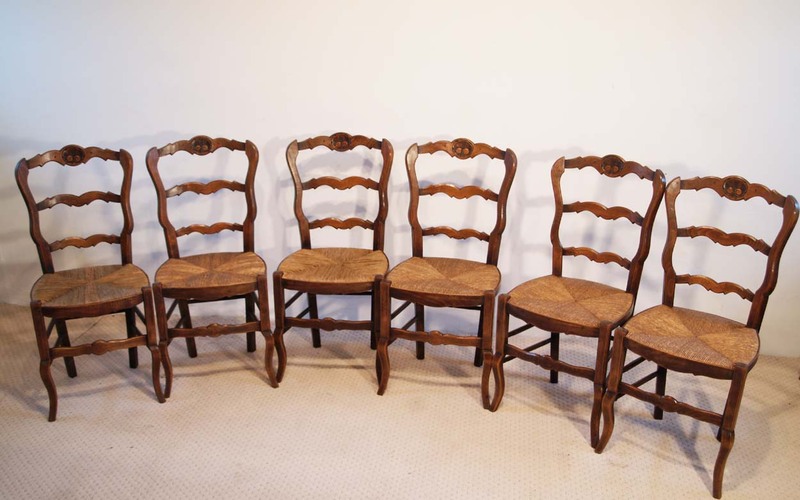 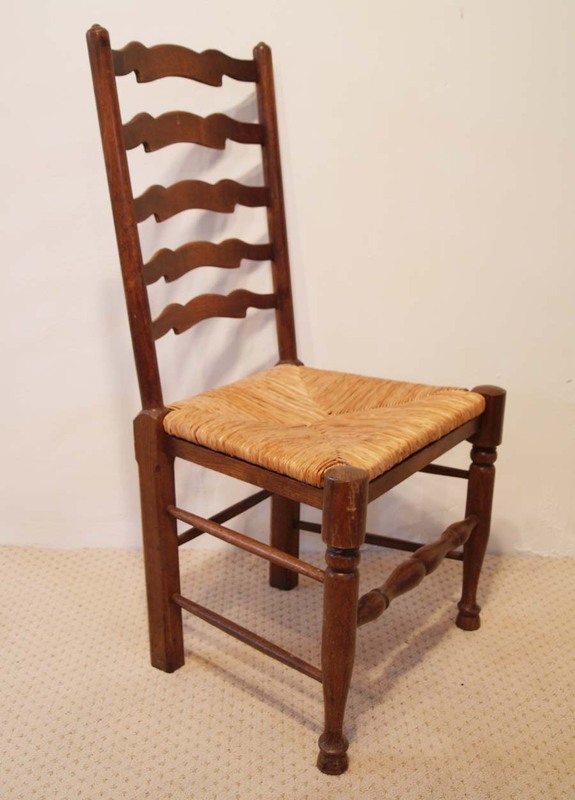 A pretty set of 6 French antique ladder back chairs in oak. 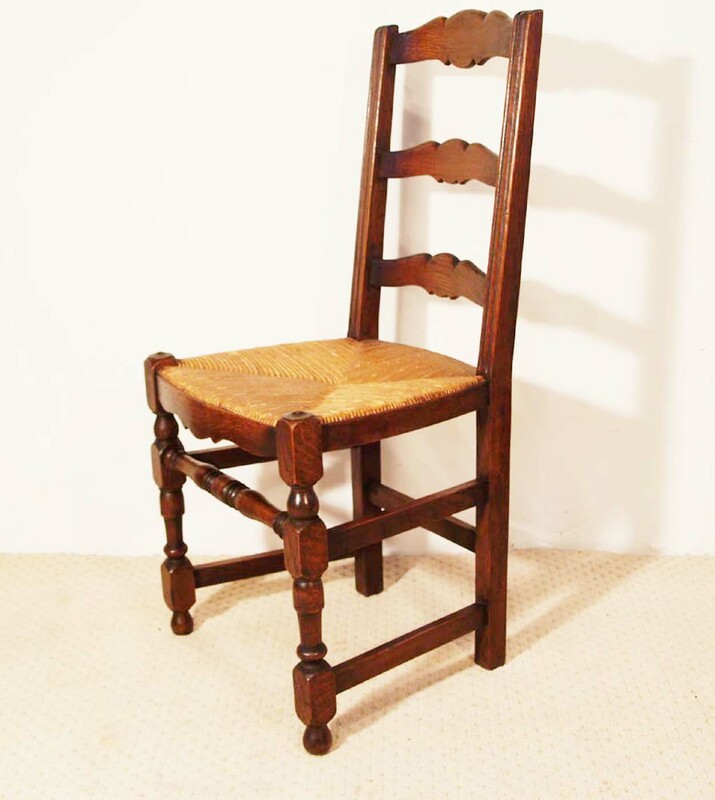 Good quality turned front legs and centre stretchers and also being of an exceptional colour, make this set of chairs special. 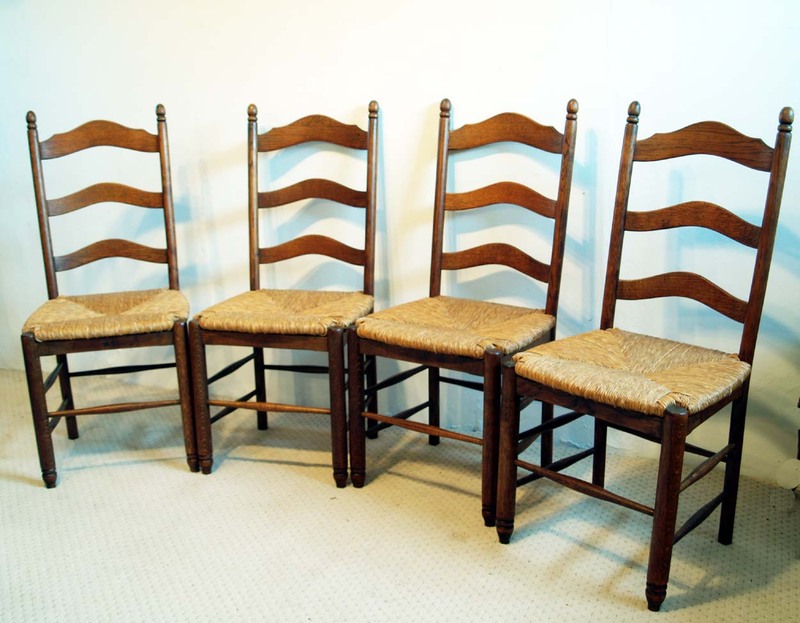 The seats are rushed “paille” and are all in good condition. 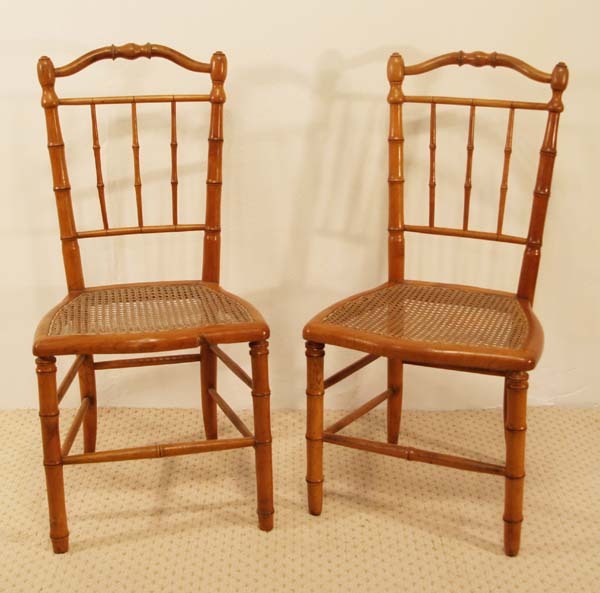 A lovely set of quality chairs.